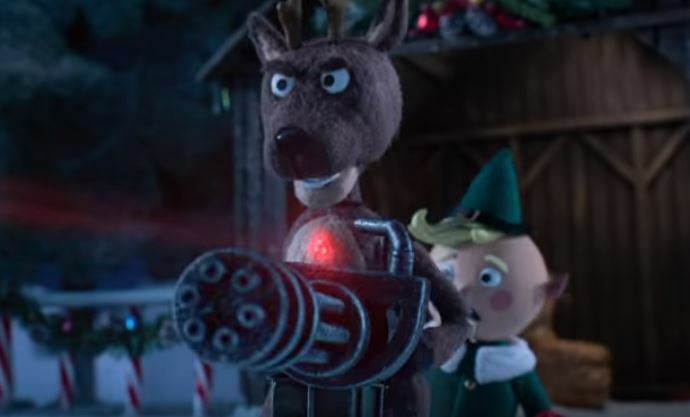 Trailer Released for Comedy Central's Stop-Motion "Predator" Holiday Special - Horror News Network - The Horror News You Need! To celebrate the Blu-ray release of 2018’s The Predator, as well as the new Predator: 4-Movie Collection box set, Comedy Central is releasing a stop-motion animated special of Predator versus Santa’s reindeer. The special will air on December 19th during BoJack Horseman – check out the press release and trailer below! Press Release: LOS ANGELES, CA – A first look at the stop-motion animated Holiday Special featuring THE PREDATOR as he tangles with his most formidable foe yet – Santa and his reindeer. Check out the official trailer below and catch the entire special December 19 on Comedy Central during BoJack Horseman at 10:30pm / 9:30 CT. THE PREDATOR is available now on Digital and on 4K Ultra HD™, Blu-ray™ and DVD December 18. Twentieth Century Fox Home Entertainment, LLC (TCFHE) is the industry leading worldwide marketing, sales and distribution company for all Fox produced, acquired and third-party partner film and television programming. Each year TCFHE expands its award-winning global product portfolio with the introduction of new entertainment content through established and emerging formats including DVD, Blu-ray™, Digital and VOD. Twentieth Century Fox Home Entertainment is a subsidiary of 20th Century Fox, a 21st Century Fox Company.